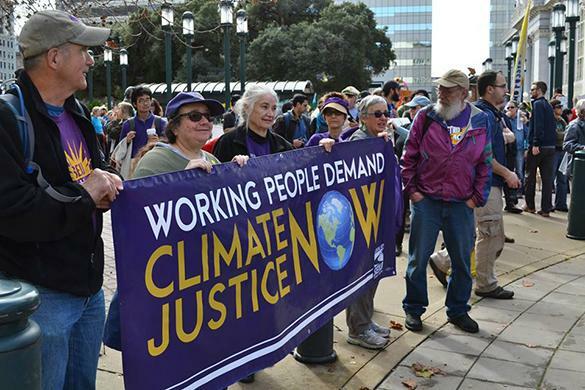 From the Oregon border to the San Francisco Bay, get the latest updates from around our union. 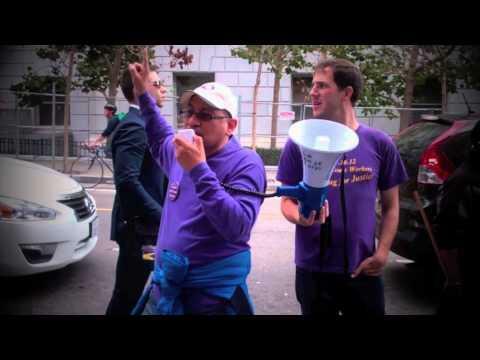 On March 7, more than 1,000 San Francisco workers and community allies protested in front of the headquarters of the SF Municipal Transportation Agency and the city’s Human Resources Department to demand City Administrators take immediate action to stop sexual harassment and end gender discrimination across city departments. The rally comes after city ombudsman Dolores Blanding released a report detailing allegations of bullying, verbal abuse, discrimination, and sexual harassment within city departments. 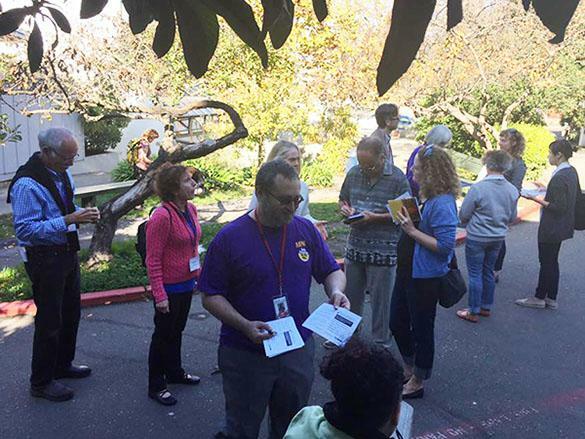 On Sunday, March 3rd, members of Oakland Educators Association (OEA) voted to approve a contract that gets teachers on the path to better raises and smaller class sizes. 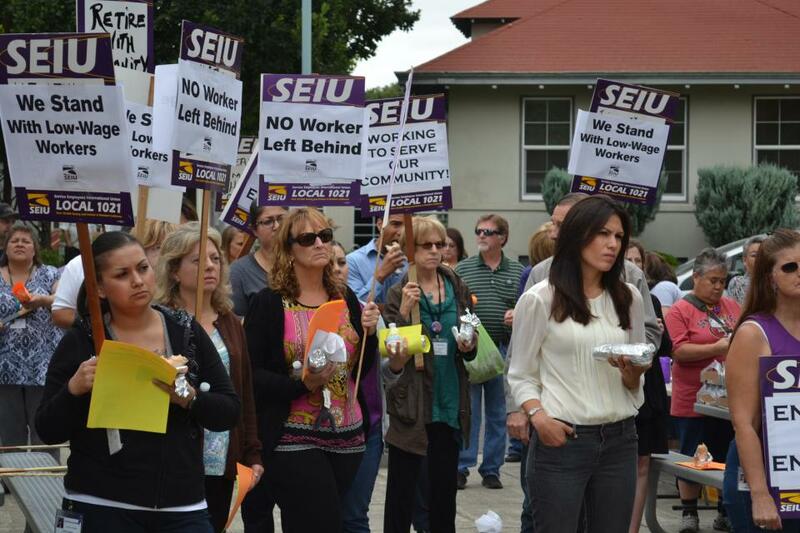 The contract ratification ended a 7-day strike that united the community. Teachers, classified workers, and students continue to speak out against the District’s cuts to programs and staff. Hundreds of students, joined by community allies, filled the Board meeting on March 4th. 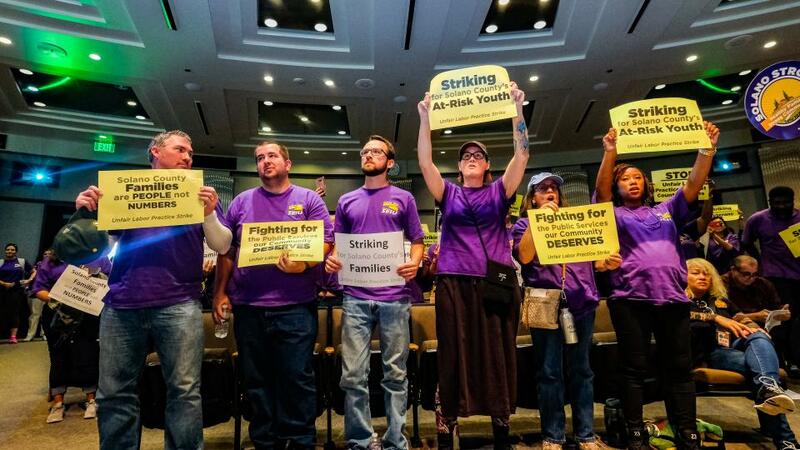 Across the country, workers are rising up to hold leaders and corporations to account for starving and dismantling public services and public school districts. 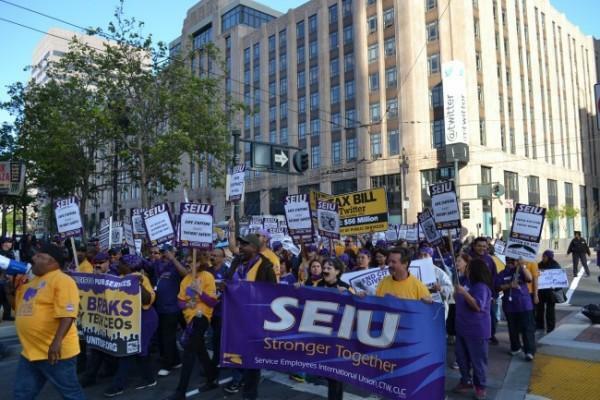 In Northern California, our members in San Francisco and Oakland have taken to the streets tofight for working families and our communities. 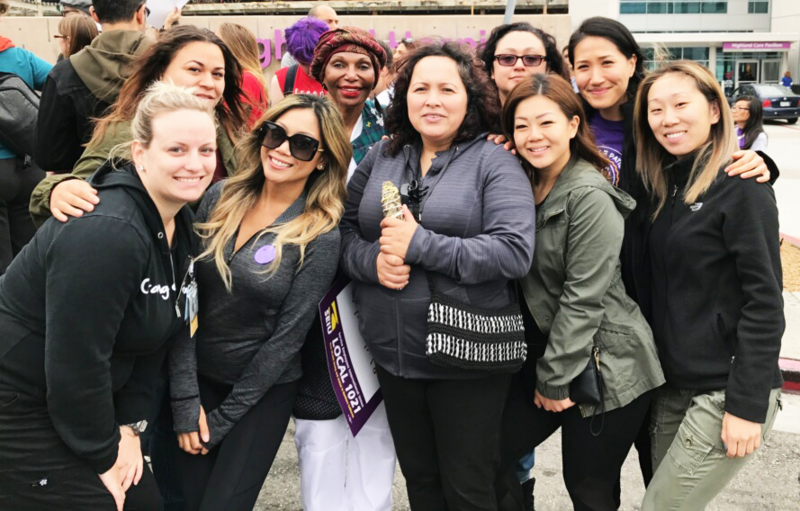 SEIU 1021 member and Highland oncology nurse Maria Mendoza Sanchez will join Congress tonight at the State of the Union address . In 2017 Maria was deported by the Trump administration and torn away from her children. After a grueling time in Mexico, she applied for a skilled worker visa, and was recently accepted for return home to the United States. Oakland Congresswoman Barbara Lee invited Maria to be her guest at tonight’s address to bring to light the negative impact of the Trump administration’s hardline immigration policies. Top college district administrators keep wages down, while inflating their own salaries. 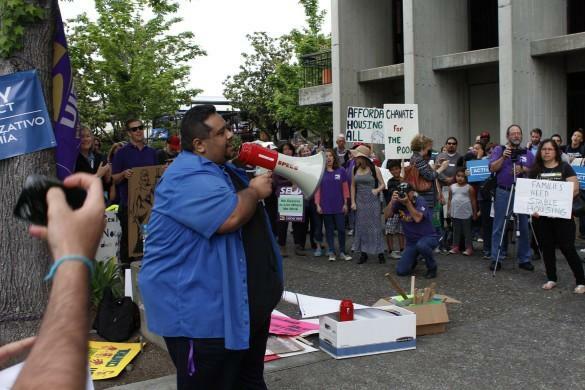 On January 24, Mendocino Lake Community College District (MLCCD) Classified and Temporary workers picketed at the college campus in Ukiah to protest unnecessary takeaways, including workers’ ability to use earned time off in cases of extended illness or injury. Top administrators have inflated their own salaries while trying to hold down wages for faculty and staff, and replace good jobs with temporary positions that lack benefits. 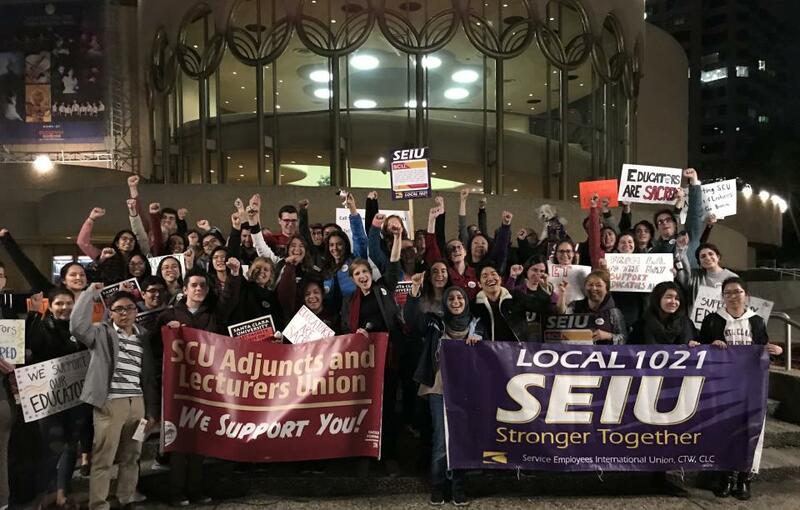 On January 19, 2019 at the San Jose Center for Performing Arts,more than 100 faculty, students and community supporters were outside the black-tie Golden Circle fundraiser in support of SCU adjuncts and lecturers voting on whether or not to join together in a union. On Monday, January 21, all across the country, thousands are expected to march in commemoration of civil rights leader Martin Luther King Jr. 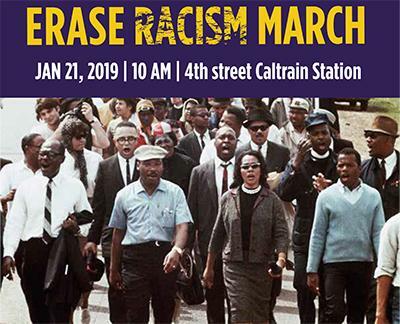 In San Francisco, City and county workers will join the march to honor Dr. King’s legacy and to continue his fight for justice for all. 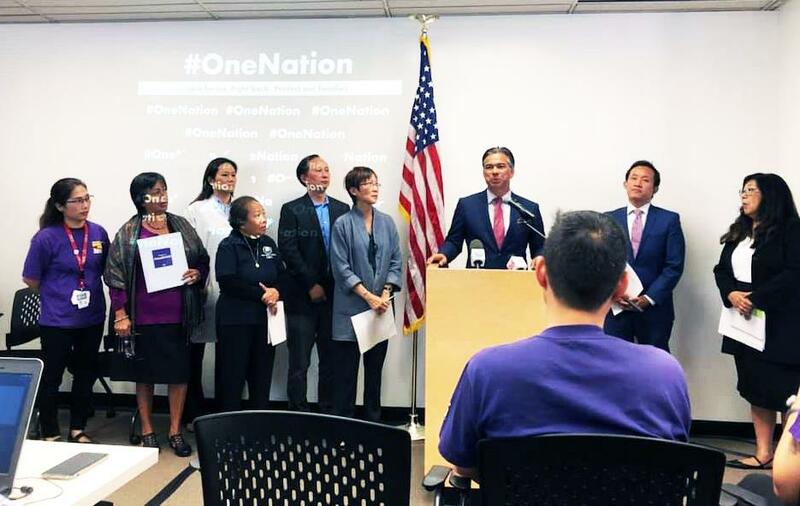 TIME: Meet at 10 a.m.
On September 27, Asian Health Services workers joined community leaders to condemn the newly-proposed public charge rule that would make it impossible for working people and low-income immigrants who participate in healthcare and social services programs to receive a green card. More than 600 member leaders convened in Concord on the weekend of September 22-23 for our member convention to chart the course for the future of our union and to hear from inspiring speakers on how we must transform and innovate to thrive during challenging times. Brian works for the Health and Human Services Department helping coordinate homeless services throughout the Mendocino County. 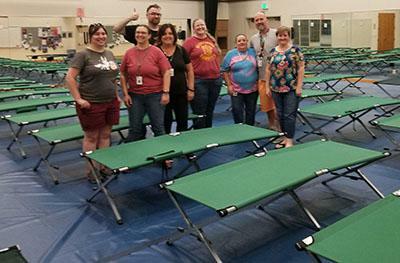 During a countywide disaster, he leads the Mendocino County Care and Shelter Team. Last week, a federal court ruled that President Trump’s Executive Order threatening to withhold funding from “sanctuary cities” is unconstitutional. 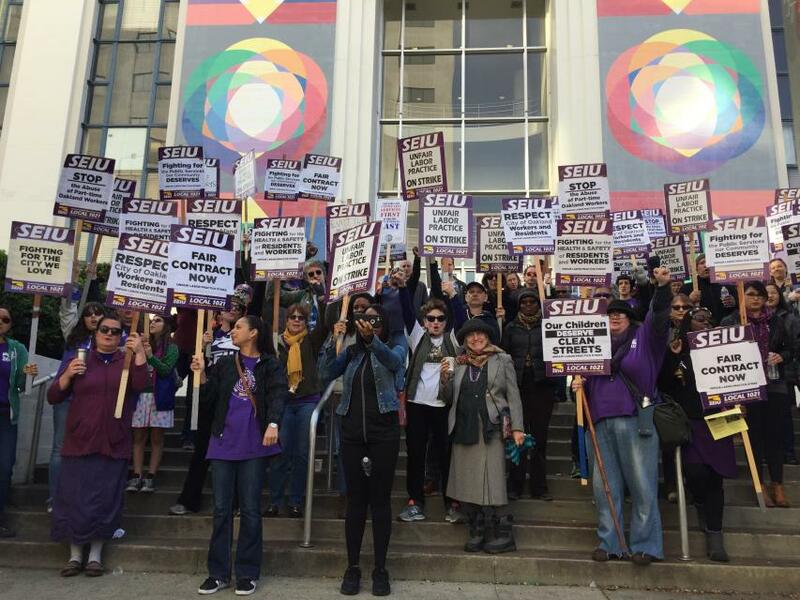 The City of San Francisco filed a lawsuit against the Executive Order and SEIU 1021 members filed a formal brief in support of the lawsuit. AHS tried to force RNs, LVNs, and CNAs at the Fairmont Skilled Nursing Facility to do a Schedule Rebid. Management’s plan included a reduction in total patient care hours, and would turn many full-time workers into part-time or temporary. 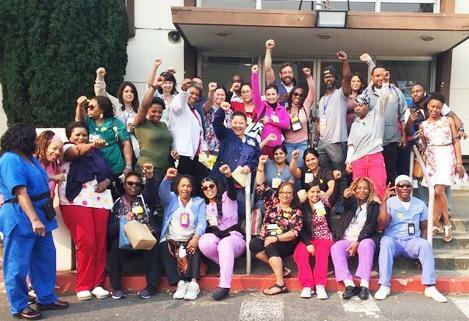 Today members at the Fairmont Skilled Nursing Facility protested the rebid and many workers refused to sign on to the scheme to cut care and cut worker hours. West Virginia teachers have shown that despite the failure of politicians to protect the rights of working people to organize, working people standing together are unstoppable. Striking teachers have shown that no court case or legislation can stop the power of solidarity and the willingness to stand up for justice. West Virginia is among the handful of “right to work-for less” states, a fate that may soon be shared by California after the Supreme Court rules on Janus v AFSCME. 1021 member Ben Stopper decided to run for political office when arts and music programs at his kids’ schools were being cut. 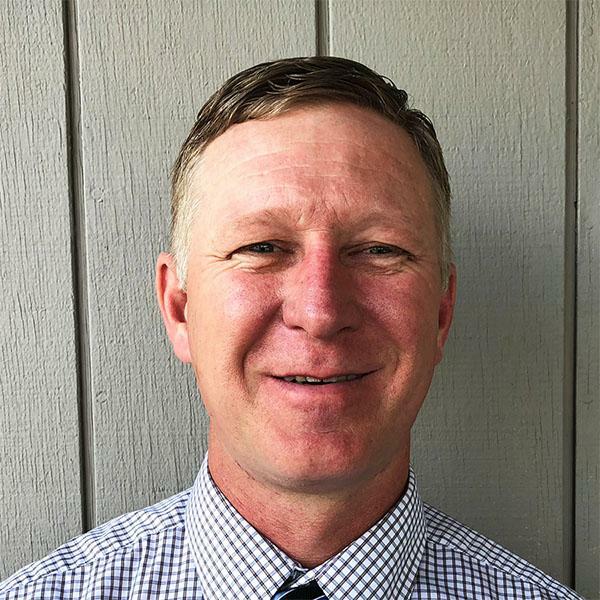 The longtime Calavares County resident is running for County Board of Supervisor to represent the District 5 communities of Milton, Jenny Lind, and Rancho Calaveras. 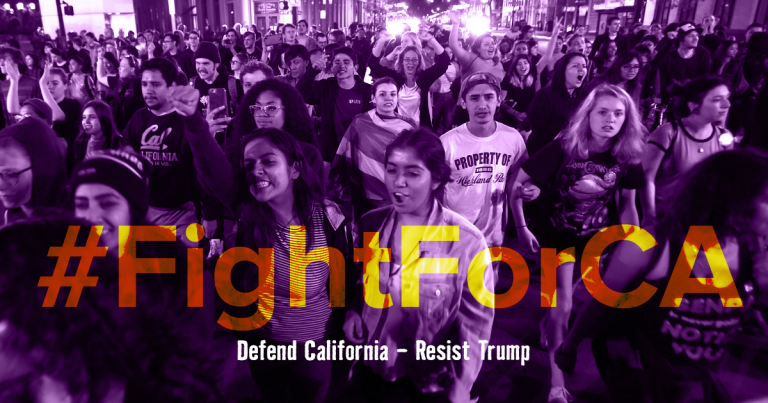 Supporters of social and economic justice have been on high alert since the election, beating back attacks on our civil rights and civil liberties as well as attempts to dismantle our education and healthcare systems. But extremists in Washington also have the environment in their crosshairs, and working people need to join together to protect our water, our air, and our health against corporations who are putting profits over people. 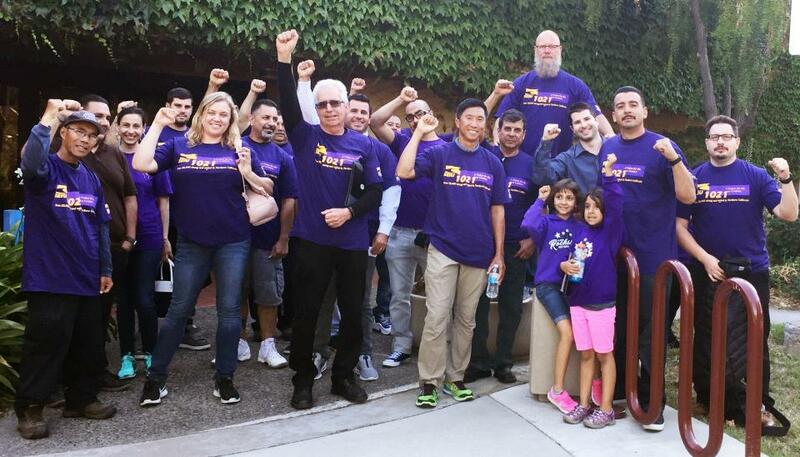 Public Works, Parks and Recreation department workers and their families sent a clear message to Union City Council on July 25, invest in our community, and invest in city workers. With the cost of living too high for many workers and families, and City revenue strong, Union City Council has a responsibility to invest in its workers. 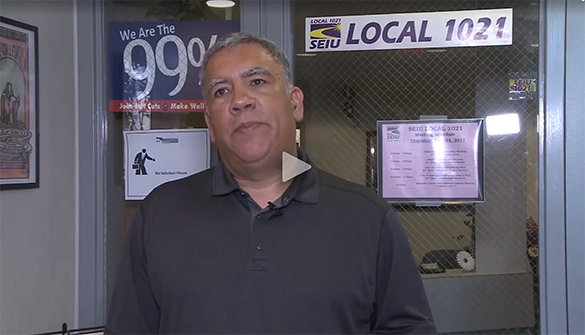 “Members want to put a face to the budget process so that Union City leaders are held accountable at the bargaining table,” said William Bontadelli, from Public Works/Ground. 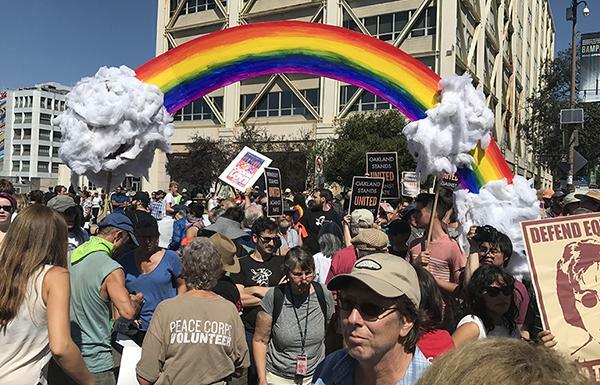 BERKELEY,CA — City of Berkeley employees and other city, county, schools, healthcare, and nonprofit workers from throughout Northern California joined thousands at the peaceful, non-violent Rally Against Hate on August 27. The rally stage was surrounded by thousands of students, teachers, seniors, and working families rallying to protest against far-right extremists, the white nationalist rally at Berkeley City Hall, and the wave of anti-immigrant federal policies. The American Dream is based on the promise that if you work hard, you’ll be able to provide for yourself and your family. It’s the promise that we’d be able to provide opportunities for our children that weren’t available to us. 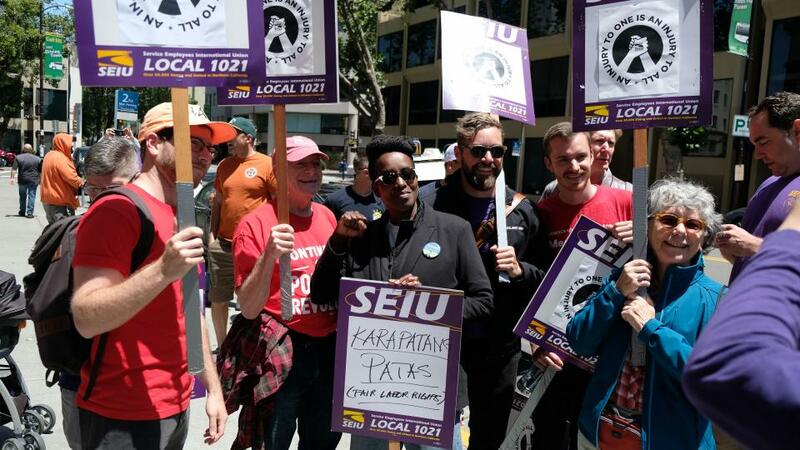 Bringing more than ten months of bargaining to a close, the Oakland City workers represented by SEIU Local 1021 ratified a two-year contract with the City of Oakland on Friday, February 23. 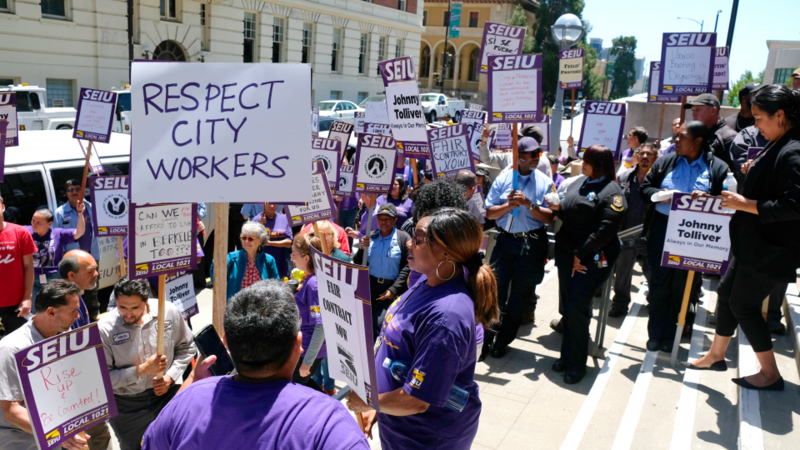 With provisions that increase worker safety, provide cost of living adjustments, and address the working conditions of police and fire communications dispatchers, the contract takes steps to improve public services to Oakland residents and businesses. February 26, 2018, the Supreme Court began hearing oral arguments in the Janus vs. AFSCME case: this case was funded and brought before the court as yet another attempt by the 1% to rig the economy completely in their favor. 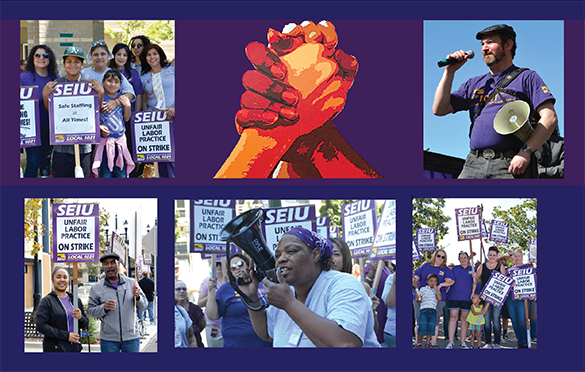 The SEIU 1021 Convention will be held in Concord, CA September 22-23, 2018. We are beginning the process of choosing convention delegates to represent chapters. Elections will take place through June 20th. 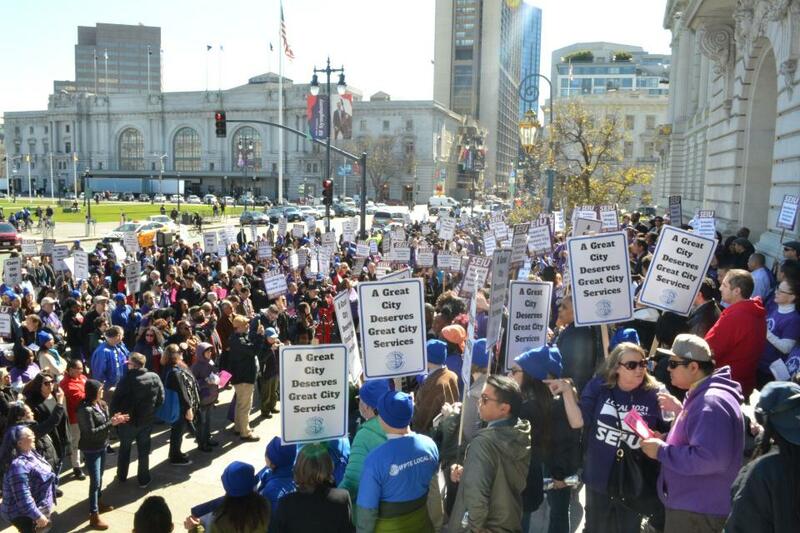 Join us for a rally and hearing to call out greedy hospitals and prescription drug companies. 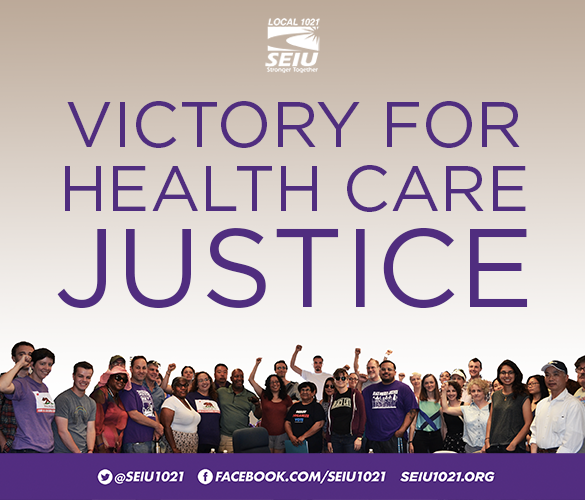 The fightback to protect affordable healthcare continues! Recent weeks have brought us terrible news of the full on legal assault on some of workers’ recent major victories, but as we say farewell to 2017 we move forward to 2018 with the knowledge and rich history of working people winning over seemingly insurmountable obstacles. Last Chance to Stop the Tax Scam! The House of Representatives must vote again on the tax bill after several provisions were found to violate Senate rules. Congress is scheduled to bring the tax bill to a vote again tomorrow. It’s not too late to place a call and help put a stop to this tax scam. Don’t let them rig the system in favor of the wealthiest Americans. Call 866-426-2631 and you will be patched through to a member of Congress. 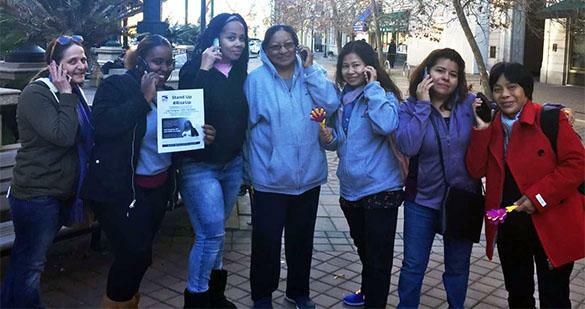 Pictured: Head Start Site Director Birdie Winrow, and Head Start staff members, calling Congress to oppose the tax scheme. The current tax legislation making its way through Congress is picking up more resistance every day. As people find out the details of who benefits, and who will lose out if this passes, they are opposing the legislation strongly. Rent Control for All. Repeal Costa Hawkins! 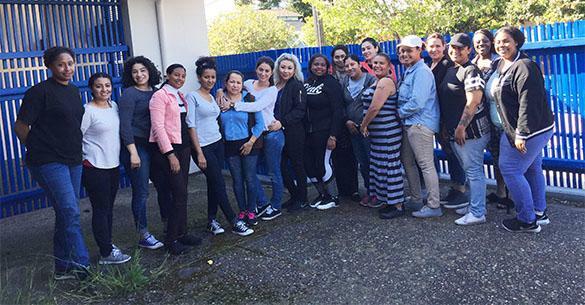 The movement for tenants’ rights and housing justice is growing every day in California. A few weeks ago renters met in Alameda for a historic assembly, California Renter Power where over 400 renters, organizers, and advocates met and strategized how to build an unstoppable statewide movement for Housing Justice and against gentrification. 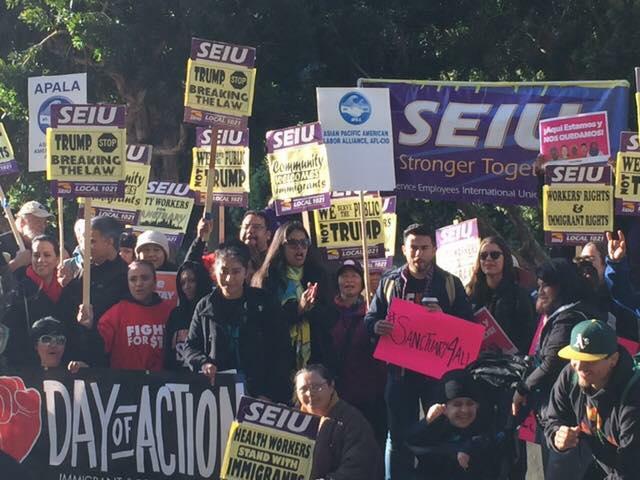 Last week California became a “sanctuary” state, when community groups, labor unions, and human rights activists successfully pushed Gov. Brown into signing SB 54 into law. 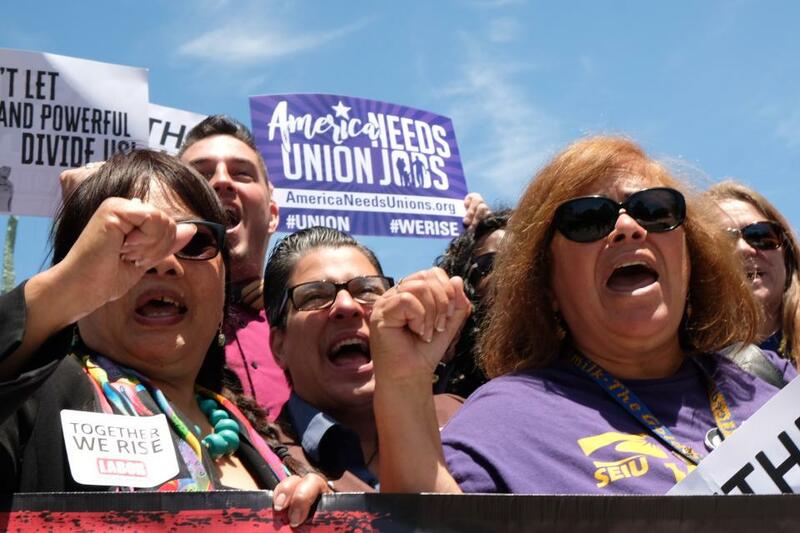 Despite attacks by corporations and self-interested politicians, union power is continuing to raise pay and amplifying working people’s voice on the job and in their communities. 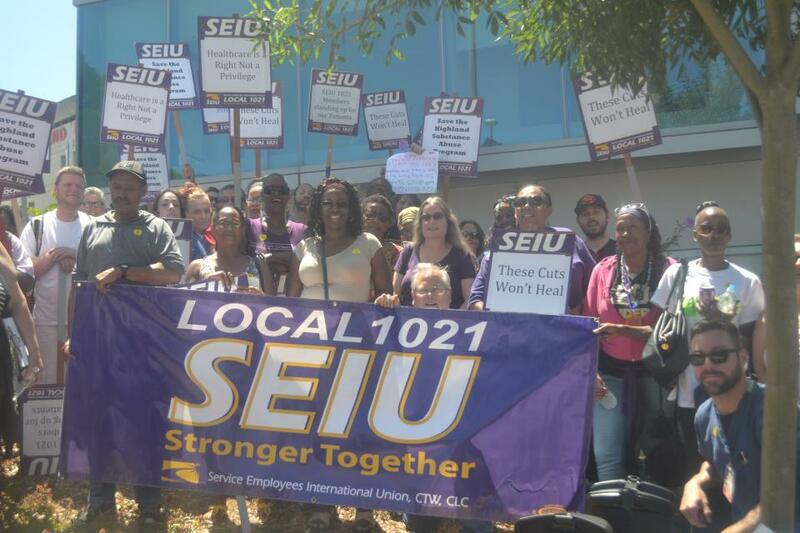 On August 1, SEIU 1021 members working at Westside Community Services HIV/AIDS program were shocked to receive layoff notices for the end of the month. For three decades the AIDS Case Management program has provided in-home services for clients, many with multiple diagnoses. The in-home care not only saved money, but also provided a better quality of life for clients who might otherwise be housed in expensive facilities, or even worse – on the street. After months of pressure from SEIU members across the country, hundreds of allied organizations, and thousands of individuals of all political persuasions, the effort in Congress to repeal the Affordable Care Act failed late Thursday night. 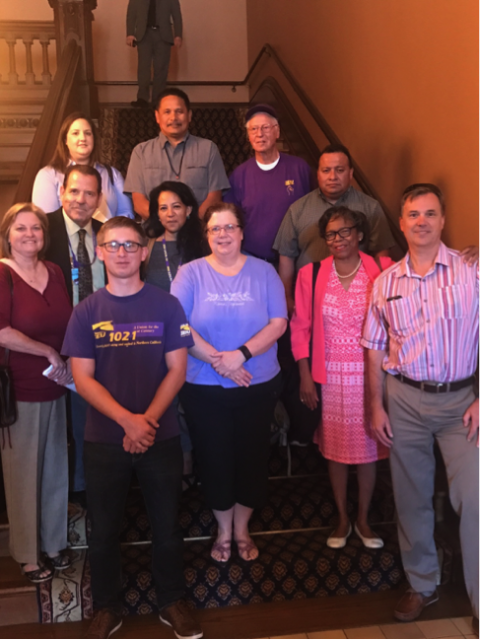 Excellent advocacy work was done in Sacramento by our members as well as SEIU 521, 721 and 221 to move our bill limiting contracting out of public services out of the Senate Governance and Finance Committee. Members have been working in Sacramento to pass this bill to hold counties and private contractors accountable to the public. 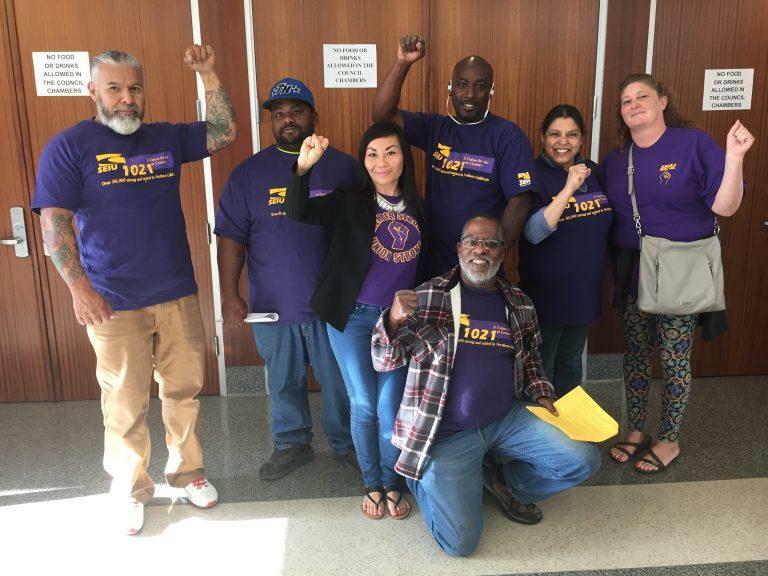 SEIU 1021 members showed up in force at the Richmond City Council meeting on July 11th to advocate passing a $15 minimum wage ordinance. 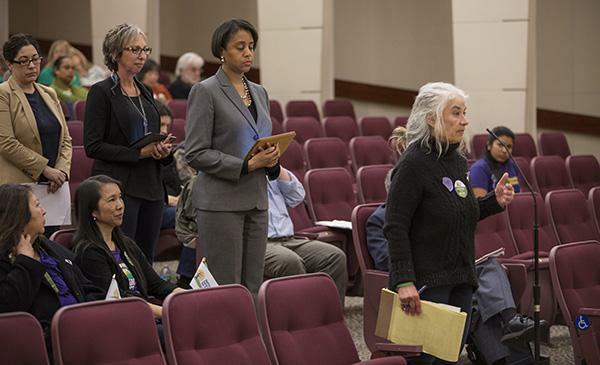 After hearing from our members and other individuals who testified, the Richmond City Council unanimously supported an ordinance to increase the city’s minimum wage. 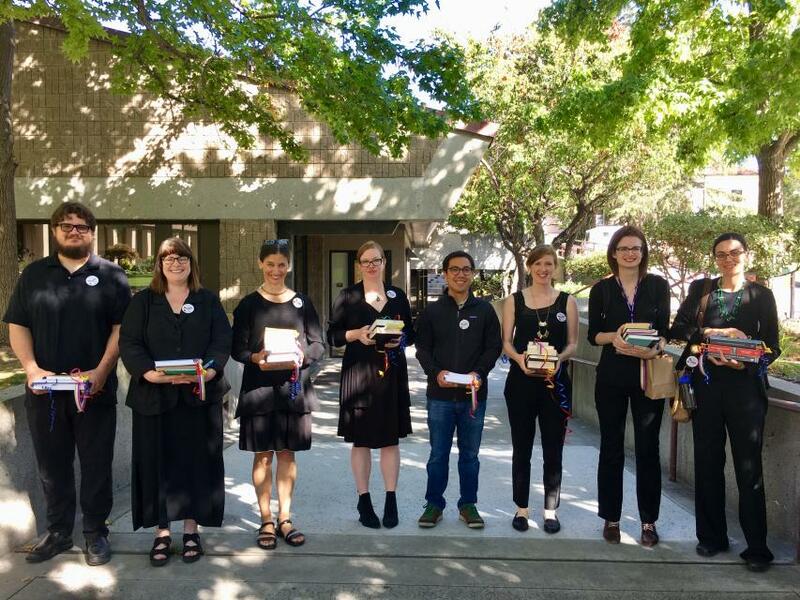 Faculty at Notre Dame de Namur (NDNU) University in Belmont, Calif., have ratified a first contract that wins better pay, job security for part-time adjunct professors and protects shared governance. The historic agreement covers all contingent faculty who won their union through the National Labor Relations Board process and tenure-track, and tenured faculty, including department chairs. The combined units cover more than 250 faculty. Many people think of shrinking ice caps and disappearing rain forests when they hear the terms “environmental justice” and “climate justice.” But the reality of environmental devastation is much closer to home for many working people: Decades of corporations running roughshod over our land, water and air in the name of profit have left a toxic wake that disproportionately harms poor communities and communities of color. Driven by skyrocketing housing costs and cuts to public services, Oakland’s housing and homelessness crisis continues to worsen. 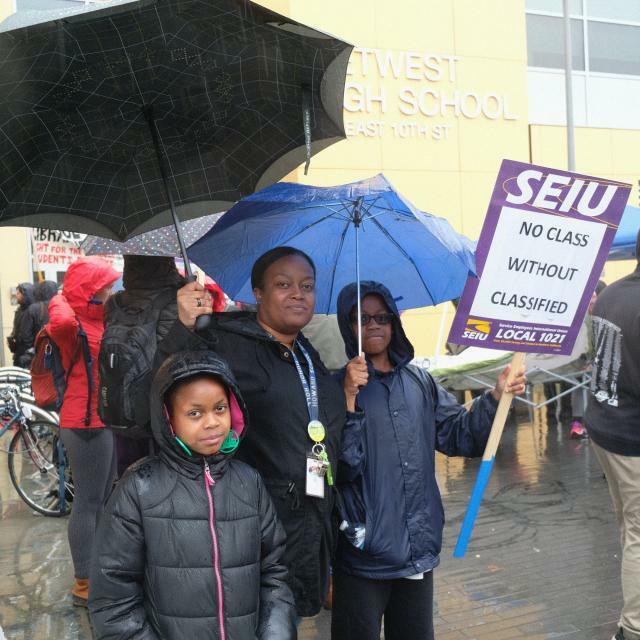 City of Oakland SEIU Local 1021 members have been told to clean up homeless encampments, where they’ve encountered unsafe working conditions. These conditions include hypodermic needles and human waste and even threats of violence. First and foremost, nothing has happened. There are no changes to the Affordable Care Act. Yet. There is no new law yet. Not until the Senate passes their own bill, and the president signs something. But SOMETHING WILL HAPPEN. Just not yet. The House has adopted a new bill, by 2 votes – including a “yes” vote by every single California Republican– nd the Senate will adopt its own version. 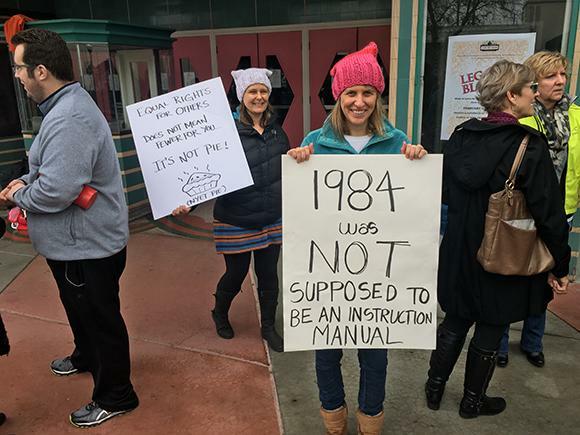 The only thing we know for sure is that the Senate version will be different from the House version because the Senate and the House always differ on any major legislation. 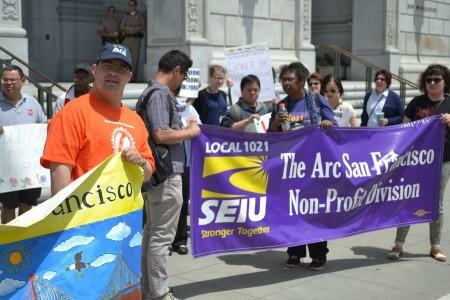 Security guards,and admission attendants who are SEIU 1021 members at the Asian Art Museum, de Young Museum and the Legion of Honor, testified on Friday about the rampant abuse and corruption by board members and top executives at the Fine Arts Museum (FAM) and the Corporation of Fine Arts Museums (COFAM). Their testimonies detailed financial mismanagement, lack of transparency, and unsafe working conditions at FAM and COFAM at the Government Audit Oversight Committee. 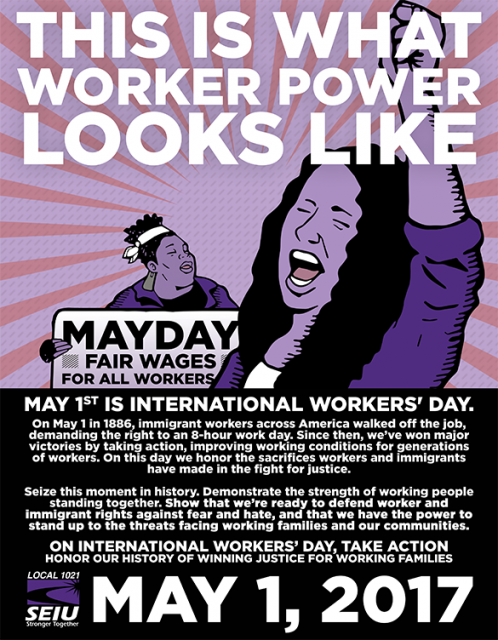 On International Workers’ Day, we honor the sacrifices workers and immigrants have made in the fight for justice. Seize this moment in history. Demonstrate the strength of working people standing together. Show that we’re ready to defend worker and immigrant rights against fear and hate and that we have the power to stand up to the threats facing working families and our communities. By building a mass movement in the streets that unites all of our struggles, we can win our fight for justice and dignity. 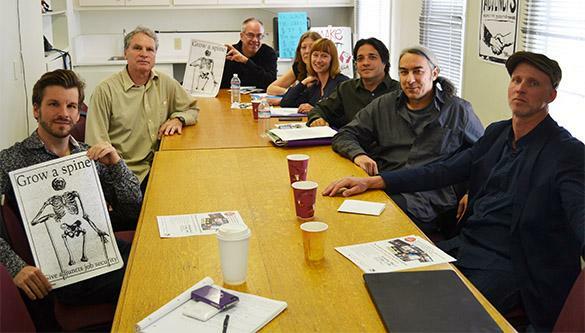 San Francisco Art Institute (SFAI) adjunct professors ratified their first union contract on March 30. 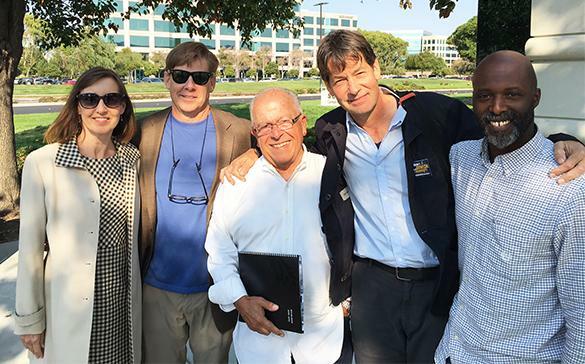 The professors joined Local 1021 in 2014 to seek a voice on the job, collective bargaining rights and compensation commensurate with their contribution to the art institution. The three-year agreement makes significant progress in job security, and the recruitment and retention of quality professors. Students will benefit too as their professors now enjoy the prospect of long-term, stable employment. 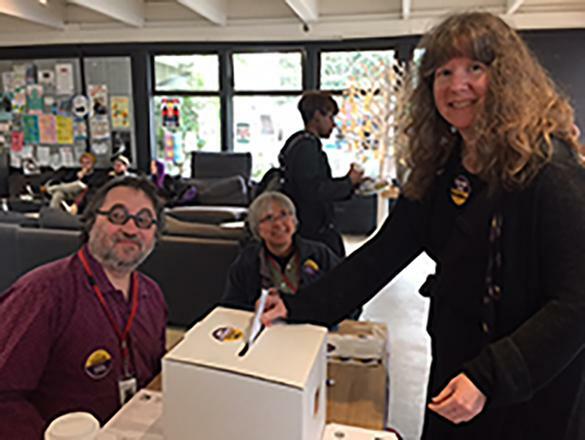 After nearly three years of organizing and more than forty bargaining sessions, adjunct faculty represented by SEIU Local 1021 have ratified a first union contract covering nearly 500 adjuncts at California College of the Arts (CCA) in San Francisco and Oakland. 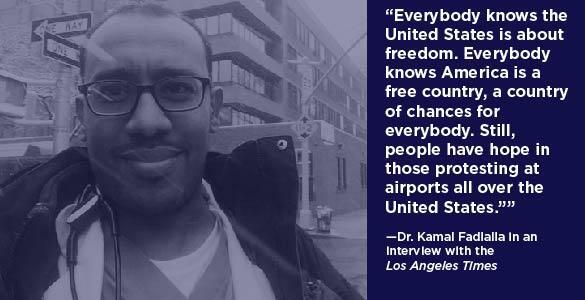 Dr. Kamal Fadlalla, a second-year resident physician and member of SEIU’s Committee of Interns and Residents, is one of thousands of immigrant Americans who have been disenfranchised by President Donald Trump’s anti-immigrant Executive Order. Last week Congress took the first steps to strip Medi-Cal from millions, hike taxes on middle-class families and workers who buy insurance through the federal exchange, and to stick seniors with soaring prescription drug costs. And they voted set up a process to cut protections for patients with pre-existing conditions, contraceptive coverage, allowing children on their parents plan until age 26 and more. In a stunning victory for the Standing Rock Sioux tribe and the indigenous rights and environmental justice movement, the federal government halted the Dakota Access Pipeline project. News of the victory arrived just one day before deadline for demonstrators occupying the North Dakota site to evacuate or face forcible eviction. The Army Corps of Engineers on Sunday, Dec. 4 announced it would instead conduct an environmental impact review of the 1,170-mile pipeline project and determine if there are other ways to route it to avoid a crossing on the Missouri River. 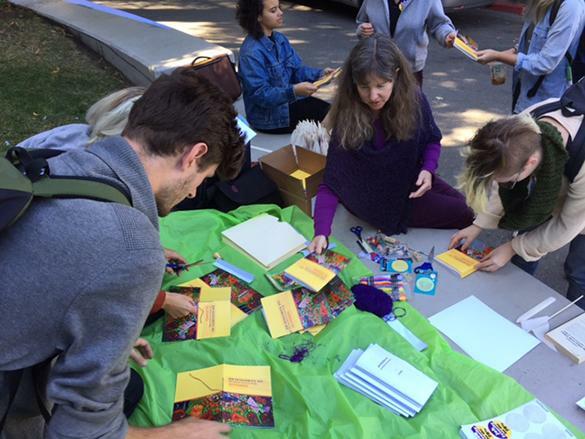 At the California College of Arts Alumni Weekend Saturday and Sunday Nov. 12 and 13, adjunct faculty and their student supporters took the extreme step of asking alumni to withhold giving donations to the college until a fair contract is reached. 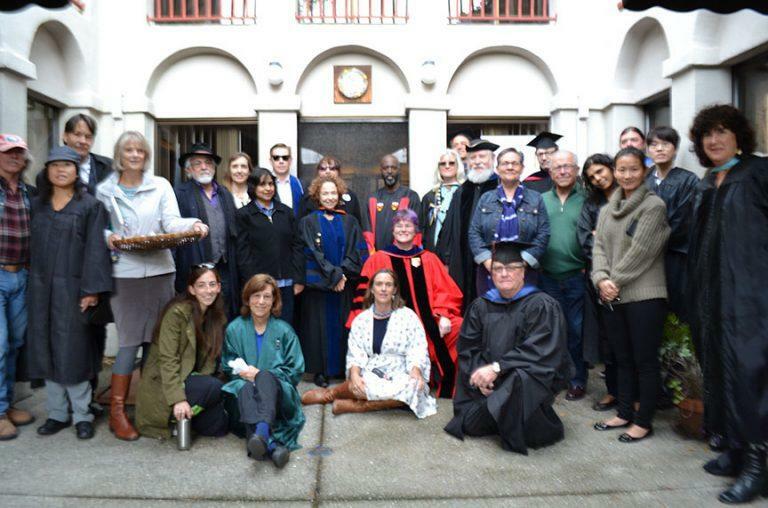 Nearly 30 Notre Dame de Namur University (NDNU) faculty members, dressed in their academic robes, marched to university president Judith Maxwell Greig’s office Oct. 25, and unfurled a 30ft. scrolled petition containing more than 300 signatures in favor of rescinding the proposed cuts. The campus has been entangled in controversy sparked by president’s unilateral decision to eliminate 10 graduate and undergraduate programs. 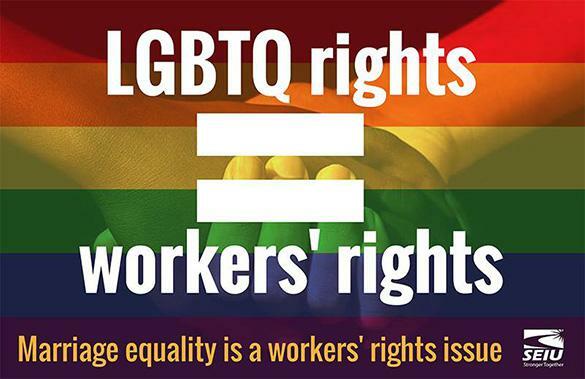 The struggle for the rights of working people happens on many levels. 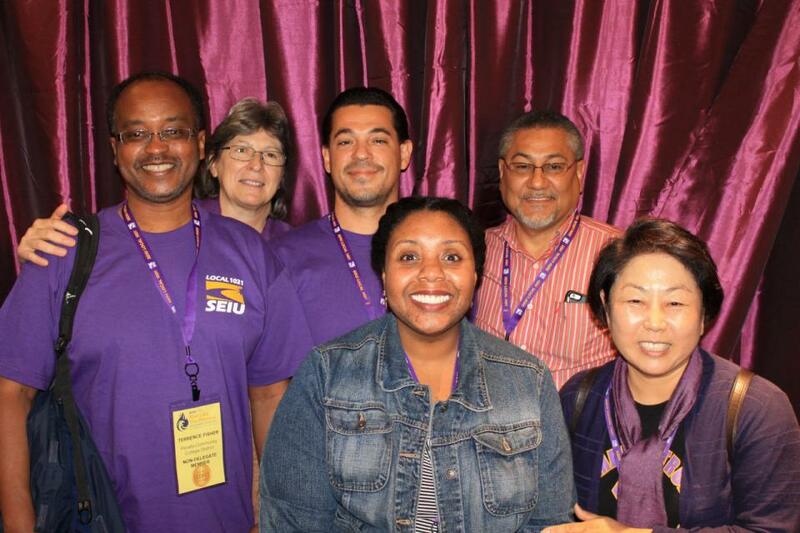 There is organizing and the hard work of bringing new members into the union. There are contract negotiations and sometimes, strikes. There are shop stewards and union staff who make sure contracts are enforced. There are legal battles and fights to protect our rights in the courts. 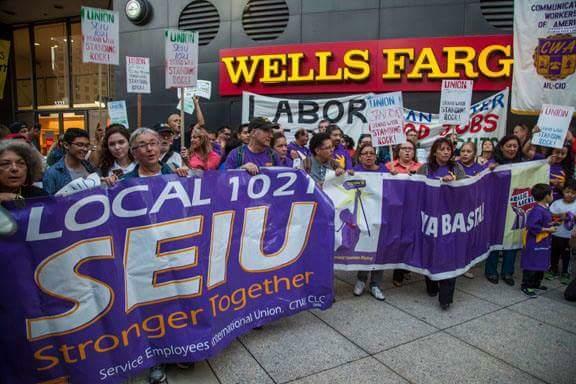 In late 2015, a sign mysteriously appeared on the outside of San Francisco General Hospital dubbing the area in front of the main entrance “Wells Fargo Plaza.” This move by a public hospital to honor an international banking and financial services company was made without the knowledge or consent of San Francisco residents. 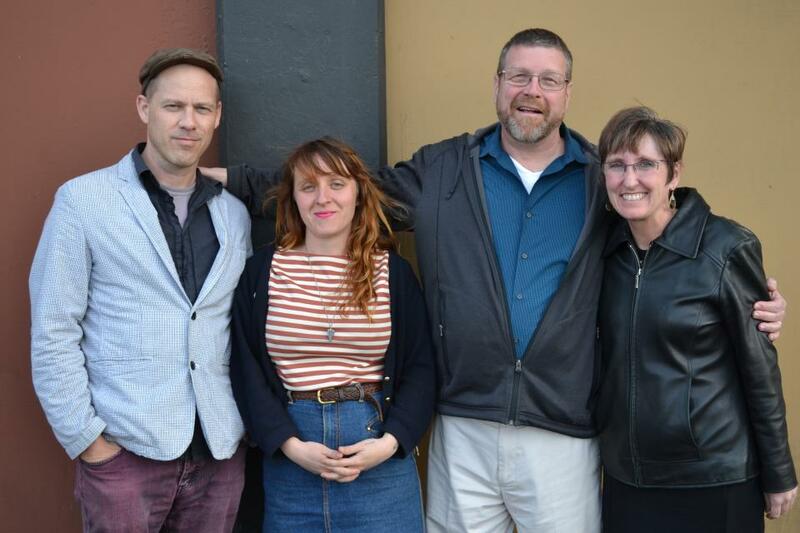 Transforming conflict into art is what artists do, and adjunct faculty at California College of the Arts (CCA) have embarked upon a project that combines the disciplines of memoir, visual arts and bookbinding to create a powerful statement about the precarious nature of their profession. 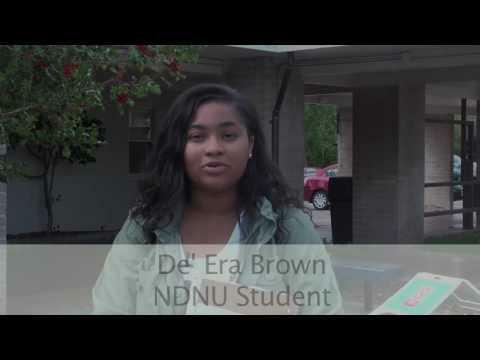 NDNU executives have unilaterally cut and overhauled programs that have resulted in upheaval on campus; the faculty union filed an unfair labor practice charge. The housing crisis that began in San Francisco several years ago and spread to the East Bay, has moved north to Sonoma County. And with it so has a collective resistance to the speculation and greed pricing people out of the communities they have long lived and worked in. ART PROFESSORS TO ART COLLEGE PRESIDENTS: YOU FAIL! 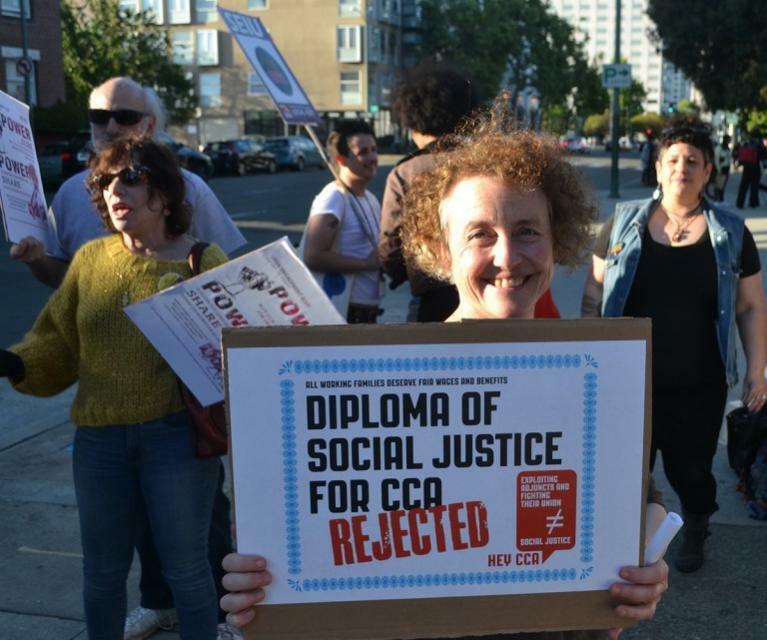 Adjunct professors and community allies warn art students and scholars that job security at CCA and SFAI is non-existent and that compensation for college art adjunct professors is under the poverty line. After marathon final bargaining session — that took a whopping 10 hours — resulted in a historic first contract for the Dominican University Adjunct Faculty. The next step is to present it to our members for an up or down ratification vote to take place very soon. · One-to-three year teaching contracts with a predicted course load based on average courses taught, and a transparent, seniority-based, enforceable system for assigning courses. The meteoric success of the Fight For 15 has been eye-opening, exposing its limitations. While a bigger paycheck lifts a family up, if the cost of living, particularly housing, goes through the roof, it negates the gain. 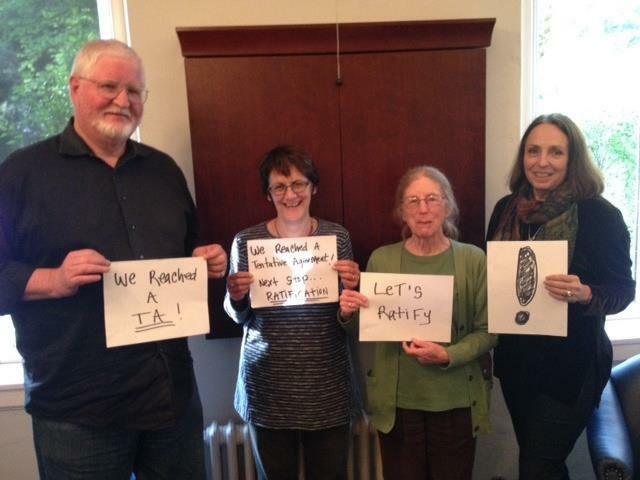 (Oakland, CA) – Mills College adjunct professors ratified their first ever three-year agreement on Friday, March 18. The new agreement makes significant progress in job security, recruitment & retention of quality professors, and fair compensation. 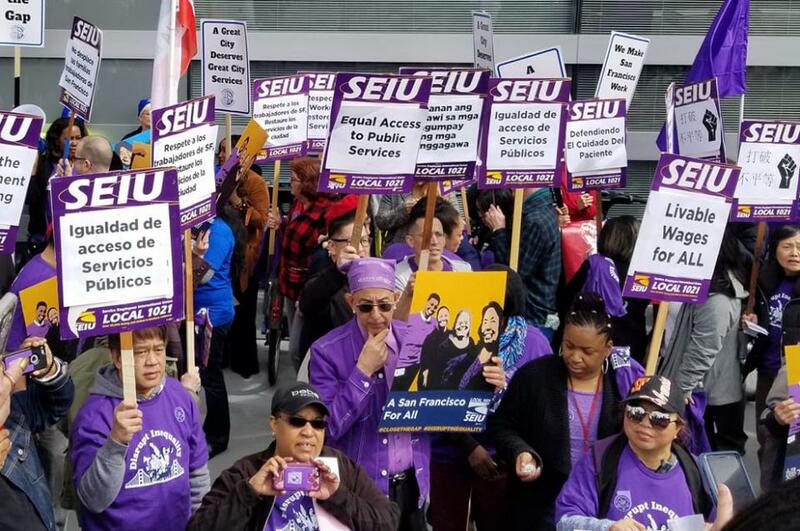 California is facing a retirement crisis, prompting labor, senior, and community groups to gather in Sacramento Oct. 15 to define the problem, analyze its details and seek solutions. Picket lines went up at all three of the San Francisco court sites — the Civic Center Courthouse (CCC), the Hall of Justice (HoJ) and the Juvenile Justice Center(JJC) — at 6:30 am. 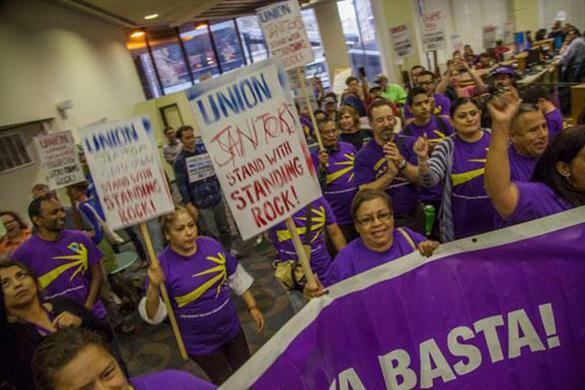 As workers arrived in the morning, they were greeted by chanting people in purple. Even court reporters and court interpreters, members of other unions, joined the line. Chief Shop Steward Gary Feliciano emphasized that this was a ULP strike because management had so blatantly broken labor law in negotiations. 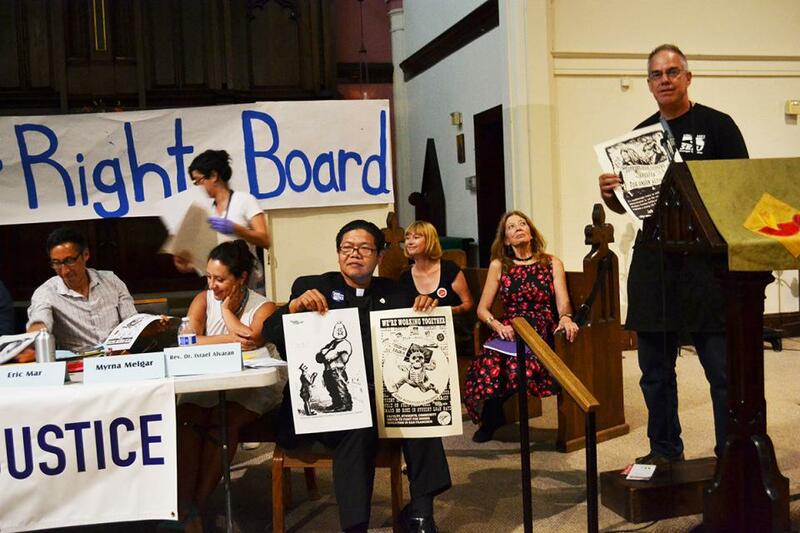 SAN FRANCISCO–Wednesday, September 9, about 100 people gathered at the St. John the Baptist Episcopal Church in the Mission District for a Workers’ Rights Board Hearing on the future of higher education in San Francisco. 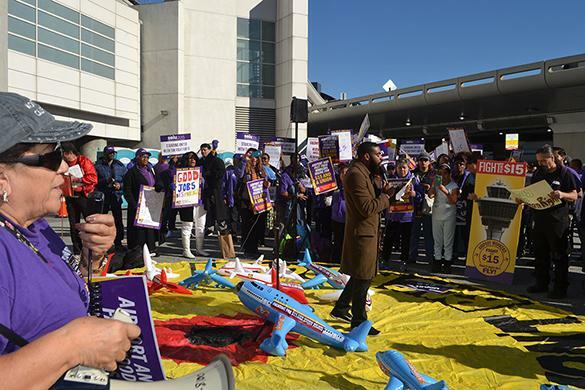 Faculty and students from the California State University, City College of San Francisco and three SEIU 1021 members from San Francisco Art Institute testified to the poor and declining pay and working conditions within their institutions and the higher education system as a whole. “Justice and equality are at cornerstones of our union and of the labor movement, but more than that, they are at the heart of the American promise. Today, the Supreme Court advanced justice by settling the debate over marriage equality, once and for all. 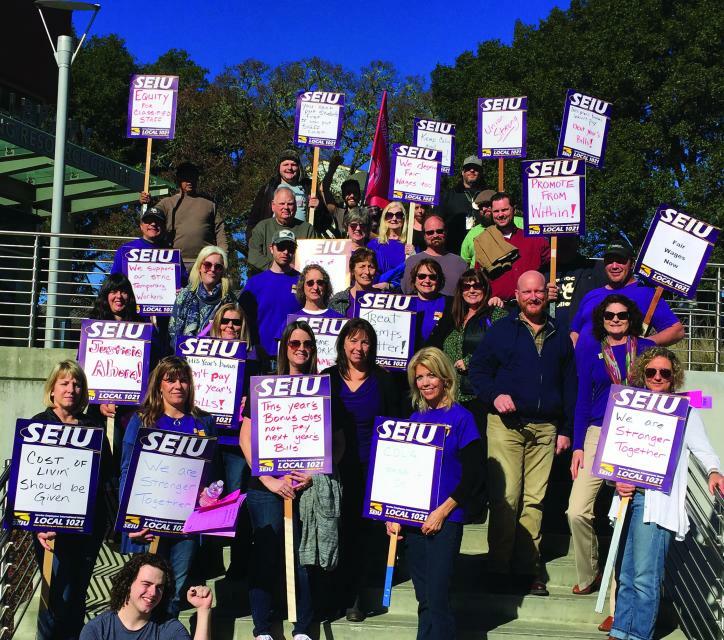 Some of SEIU 1021’s newest members, contingent faculty at St. Mary’s College in Moraga, have long been faced with a yearly conundrum–the same faced by so many college faculty nationwide. When classes let out for summer, they often are faced with unemployment over the summer, and an uncertain future in the fall. Since adjunct contracts are almost always contingent upon funding, enrollment or program changes, they typically can be changed up until the day classes start–and sometimes even after that. 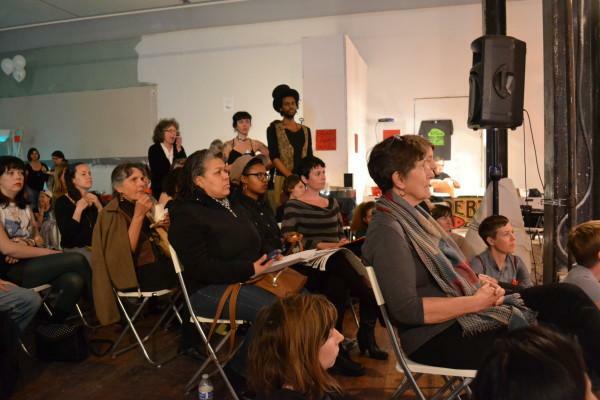 Sunday, March 8, hundreds of adjunct professors, students, artists, low-wage workers, activists and artists joined forces at the Lab in San Francisco for No Justice No Service: Bay Area Art and Education Justice Festival. Last December, Bay Area workers, union organizers, and labor leaders toured several communities in the Central Valley impacted by fracking. 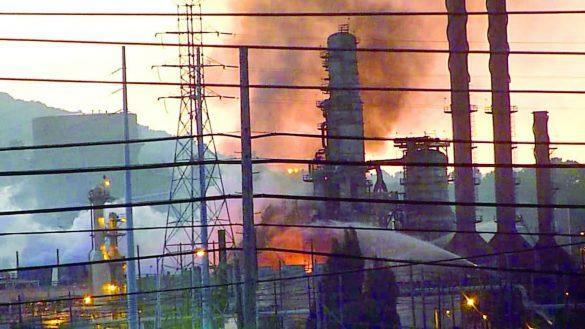 What we witnessed was horrifying: fracking wells near agricultural fields, community gardens and elementary schools, poisoning the air and water of working class and immigrant communities, causing an epidemic of asthma and cancer. 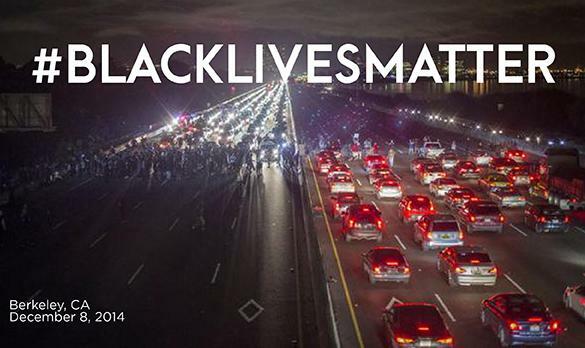 Our country is mourning the senseless deaths of Michael Brown and Eric Garner. From Ferguson, New York, Sacramento and to the Bay Area, we stand in solidarity with all who are rising up and demanding the end to police brutality and violence against communities of color. 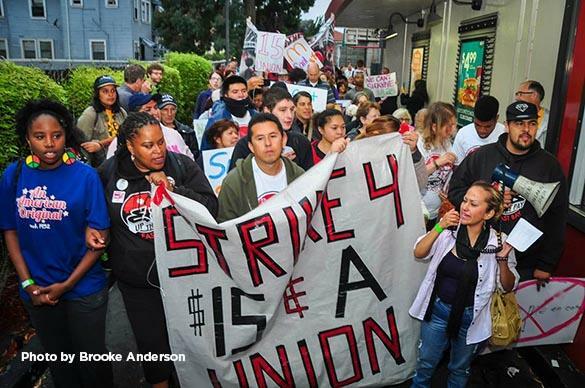 Oakland fast-food workers— many wearing their uniforms from restaurants like McDonald’s, Burger King and Wendy’s—were among the more cooks, cashiers and maintenance workers arrested Thursday as the fight for $15 and the right to form a union intensified across the country. Gov. 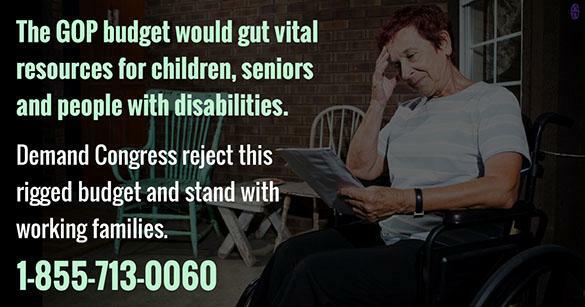 Jerry Brown has ignored people with developmental disabilities in his budget. They, along with their service providers, feel betrayed. Budgeted at 1990 levels, and with over $1 billion cut by the state from their bottom line, California’s DD system is on the verge of collapse—and Jerry Brown has proposed doing next to nothing to save it. 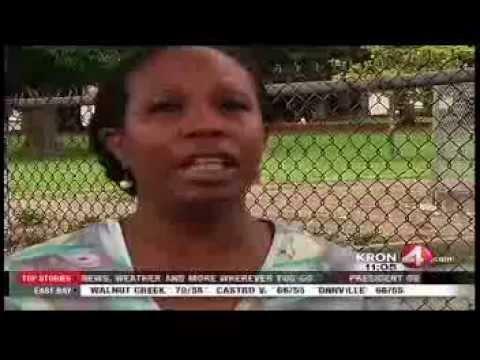 Shanatte Chatman speaks out about violence against healthcare workers at Alameda Health System. 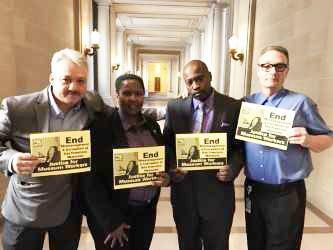 She and her co-workers are demanding that AHS adopt contract standards that address the escalating workplace violence that healthcare workers are facing. 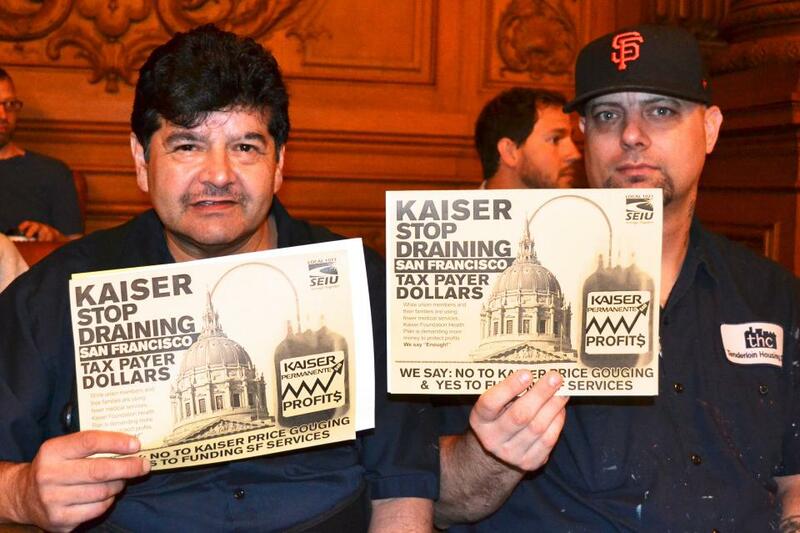 Over 1,000 San Francisco City workers, nonprofit workers and residents marked Tax Day on April 15 with a major protest of the weakening of vital social services and of the increase in income inequality in the City under Mayor Lee’s economic initiatives. 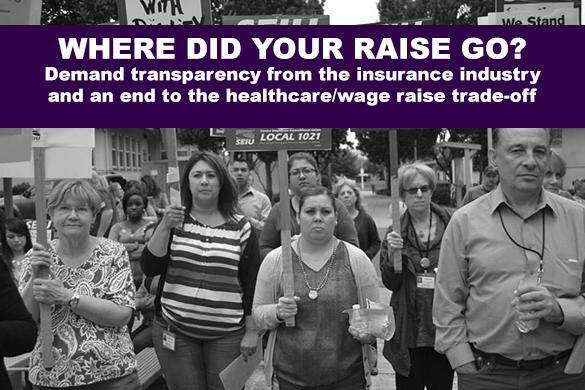 SEIU Local 1021 is committed to maintaining both Kaiser and Blue Shield as healthcare options for our members. We are also committed to keeping healthcare affordable for our members and will oppose unwarranted and unjustified rate increases by any healthcare insurance provider.